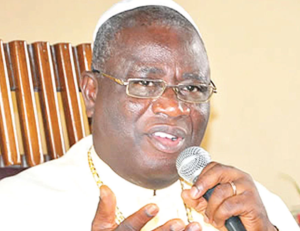 A note of warning has come the way of Igbo residents in Lagos as the Methodist Church of Nigeria (MCN) has advised them against boycotting the 2019 general elections. The church handed down the warning on Tuesday as they admonished people from the South-East against nurturing the idea of apathy. Urging people to be aware of their rights, the prelate added, “Leaders deliberately impoverish the people so as to manipulate them, as well as using children as thugs and buying drugs for them. Nigerian politicians are not known to mean well for the people, but are hawks in sheep cloths. Such politicians should be voted out,” the Prelate submitted. The cleric challenged the Independent National Electoral Commission, (INEC) to prosecute a credible free and fair election and further ensure that the best wins at all levels. He also charged the Abia State Environmental Sanitation Authority (ASEPA) on cleanliness and the urgent need to clear the huge refuse that abound in the state, particularly, Umuahia.